by Andy Higgs in Europe, Features, France, Places. ‘Tis the season for planning a trip to a Christmas market or two and thus also the season for our round-up of the best ones around. 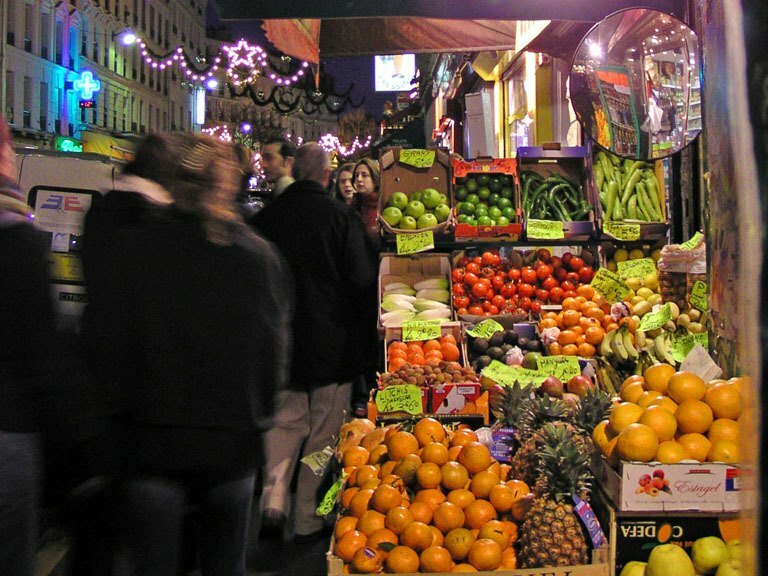 After yesterday’s article about Berlin, Germany we’re hopping over to its western neighbour to fill you in on this year’s markets in Paris, France. You might not get the deep crisp and even snow but the French have really taken this fairly new import to heart. 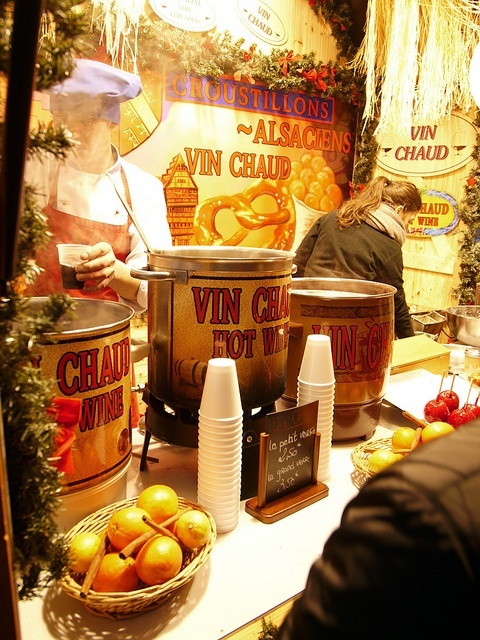 The Germans rule the Gluhwein roost, but the French know a thing or two about wine – heat it up, and you have a yuletide treat. They didn’t waste much effort naming it, either, but you do know what you’re getting with ‘vin chaud’. It’s a bit of a no-brainer that the most famous Christmas market within the Paris city limits takes place on its most famous street. Visitors are probably right in expecting prices to be a little higher here than elsewhere but the atmosphere makes up for the tourist surcharge. The avenue is lined with almost 200 authentic wooden chalets (made in the Vosges) between the Champs-Elysées roundabout to the Place de la Concorde selling handicrafts and tasty treats from France and all over Europe. Free shows take place every day and Father Christmas (père Noël?) will be there for the children – and the young at heart. Just like last year you can also buy Alsatian Christmas specialities from the pop-up store Maison de l’Alsace at 39 avenue des Champs-Elysees. 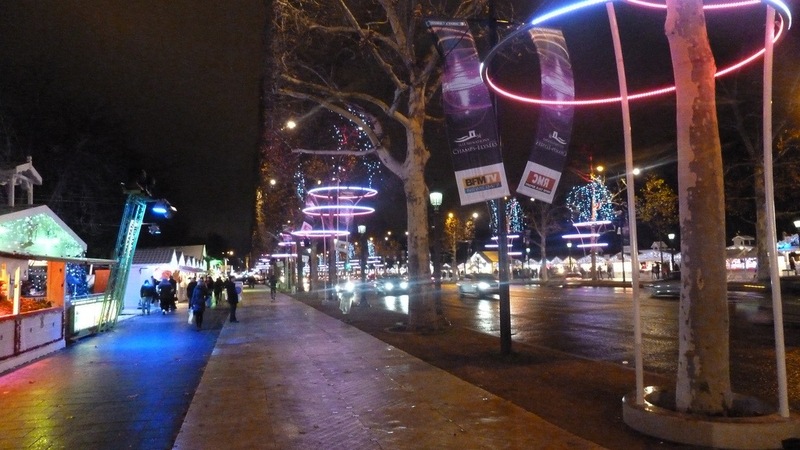 The 200 trees of the Champs-Elysées are illuminated with glittering garlands and rings around the trees (with red, green and blue LEDs) making a spectacular backdrop to the market itself. You won’t exactly have the place to yourself as they expect around 15 million visitors over the seven-week period the market is open; but this year there will be 30 more stands to browse. When you need a break, the ferris wheel awaits at Place de la Concorde affording superb views over the market. 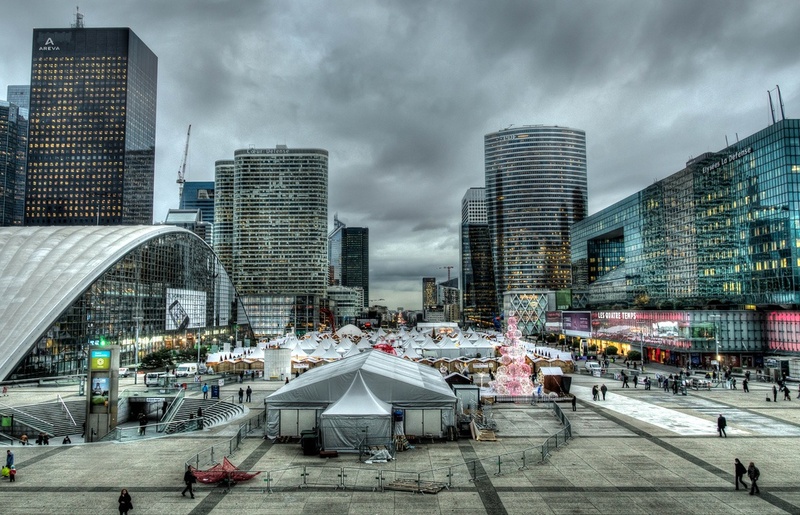 In the heart of the ultra-modern La Défense area of Paris you may be surprised to find one of the biggest and best Christmas markets in the French capital. It doesn’t have the charm of the more traditional locations but it sure has variety and quantity. More than 350 stalls are set up here on the parvis (main forecourt) and you can find a wide range of potential pressies including handmade crafts, gourmet food and all the decorations you could possibly need – including exotica such as African carvings and Corsican bangers. Making use of his considerable talent for omnipresence Santa will be there every day too and never seems to get tired of posing for photographs. It can’t claim to be the biggest but the search for a superlative resulted in the tagline of the highest Christmas market in Paris for the one at Montmartre. It’s also one of the newest but has become justifiably popular for its romantic ambience in the few years since its inception. Some 60 stalls set up shop at the foot of the Sacré-Coeur Basilica offering great views as well as a good selection of regional specialties, tree decorations, and yes, Mr Claus will be making a regular appearance too. The donut and mulled wine combo here is worth the Metro journey alone. If you like Alsatian food and drink – and we think you’d be a little odd if you didn’t as it’s wonderful, hearty fare – head for the forecourt of the Gare de l’Est. Another new one for this year’s list, St-Michel is marketed (sorry) as an “authentic” experience where around 50 artisans from the local area and beyond set up stalls. The focus here is arts and crafts and we reckon this is the one to come to for that unique gift for the special someone in your life. 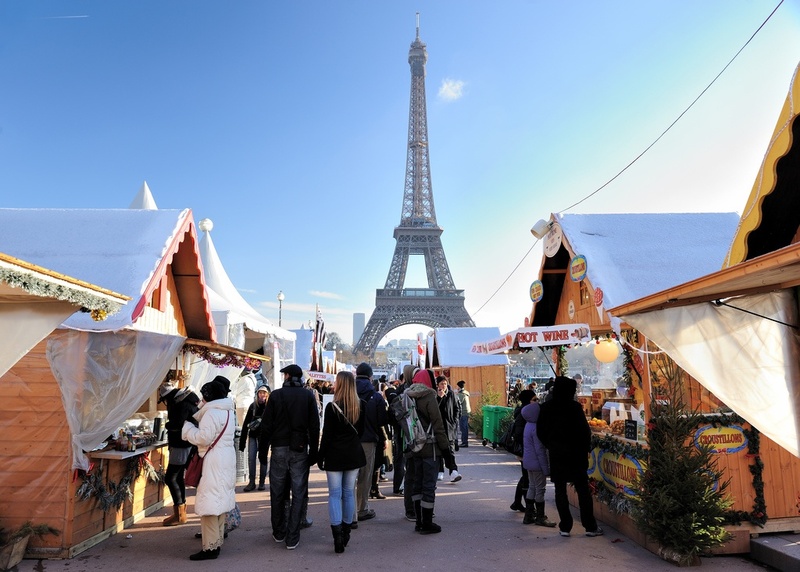 At Trocadéro, right opposite the Eiffel Tower, you’ll find the European Christmas Village or ‘Trocadéro on Ice’. Transformed to resemble a mountain resort in the middle of Paris, there are plenty of activities and attractions such as a large outdoor ice rink, giant igloo and snowman as well as around 100 wooden stalls with crafts and gorgeous foodie fare from a number of European countries. This market is probably the best one for the children in the city, especially if they like to skate and fancy doing so in view of the Eiffel Tower. The Tour Montparnasse (Montparnasse Tower) is not the most attractive building in Paris but it does have at least two redeeming features: a superb view from the rooftop deck and a great Christmas market which takes place in the square in front. This is the one to visit for regional French delicacies – both for gifts and to snack on while browsing. You’ll soon forget the monolithic block towering over the market as the market itself is beautiful. There are about 40 chalets here and many of the products on sale are local specialities you may struggle to find elsewhere. 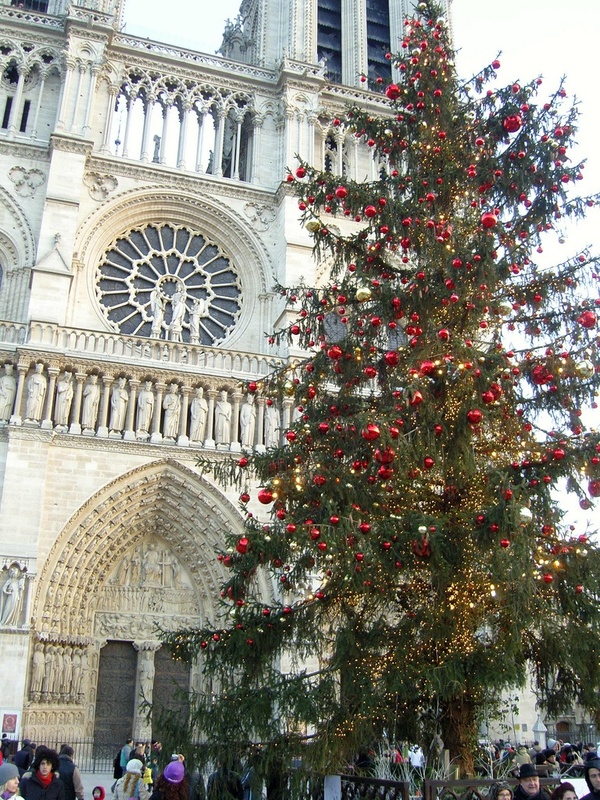 Another iconic location in Paris evolves into a Christmas market – the square outside Notre Dame Cathedral is not huge but the tree certainly is. Sip on mulled wine, snack on roasted chestnuts and visit the stalls with their arts and crafts and French delicacies – Santa will also be making an appearance here too. This market has grown in recent years and seems to be more popular with each incarnation. I really like the one at la Defense. Something oddly appealing about combining the old-fashioned fairy-tale atmosphere of Christmas markets with the hyper-modern, slightly sci-fi buildings. thanks for sharing. I suggest you can add this adds at Triphobo. It help user for shopping in Christmas easily.